Toast to the happy couple with the frostiest of beers! 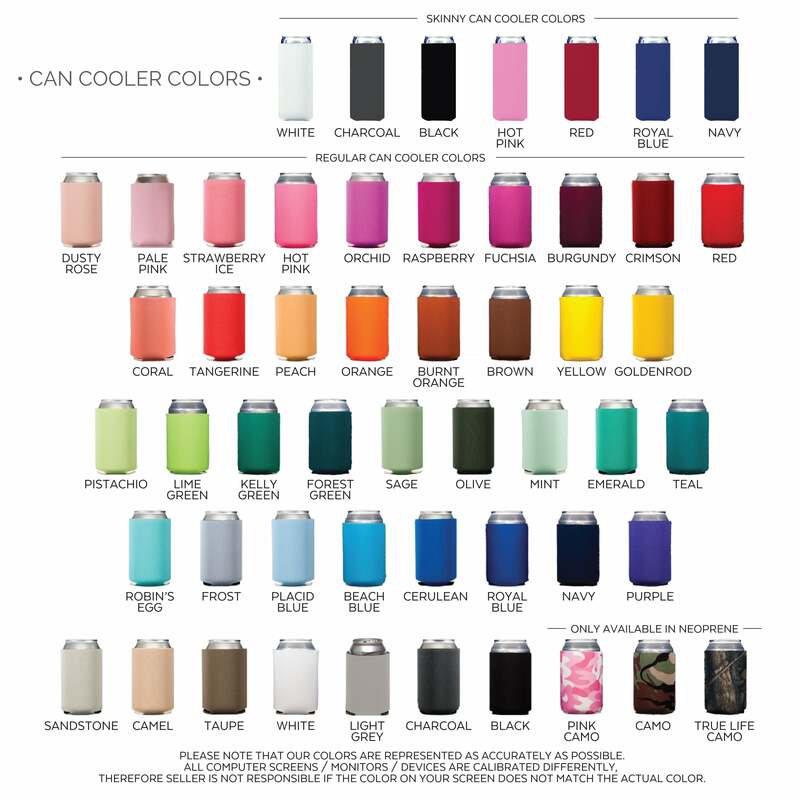 The can coolers are personalized with names and a date, and the saying "Cheers to Many Years & Cold Beers" in a playful mix of fonts. These custom favors are sure to delight your guests, both on the event day and for years to come!